Yodfat (Jotapata) is located in the western Lower Galilee near the modern Moshav Yodfat, 3 miles north of Sepphoris. The town was built on an isolated hill with a rounded summit and a narrow ridge to the south, surrounded on three sides by deep ravines; on the north it is connected to Mount Miamin by a shallow saddle. On the bare bedrock of the summit are rock-cut cisterns and signs of quarrying activity. The eastern slope of Mount Miamin is inhabited by the ruins of Khirbet Jifat, the Arabic name preserving the ancient name of Yodfat. Josephus Flavius first mentioned Jotapata as one of the towns in the Galilee fortified by him at the beginning of the First Jewish Revolt. He later described the attempt by the Roman army to take Jotapata in the first battle of the revolt and the 47-day siege of the fortified town. The site is also mentioned in the Mishnah, in the list of “fortified towns from the time of Joshua Bin-Nun,” where “…old Yodfat…” would seem to imply that there was also a new Yodfat. 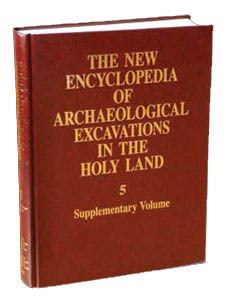 The site is referred to again in the Talmud and in the list of the “Priestly Courses” as the home town of the Miamin Course.